How do you safeguard yourself against a fire? Chances are, you have smoke detectors and fire extinguishers in your home, and follow safe practices when using heat and flame. But you probably also have an insurance policy, just in case something happens. Believe it or not, guarding against falls in the home is not all that different. 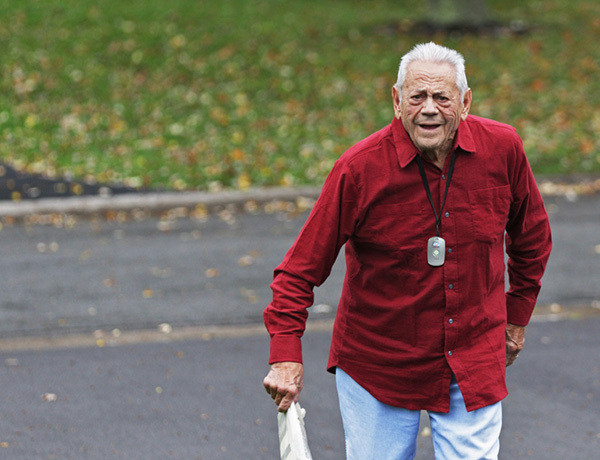 Most falls can be prevented, and there are many things you can do to reduce your fall risk. Yet prevention is not an iron-clad guarantee: just like with fire, it’s important to recognize that a fall can still happen, and to be ready just in case. Read on to learn about the complete picture of preparedness — which includes not only fall prevention, but also planning what to do in case of a fall. Without question, when it comes to falls, preventive actions should be the first line of defense. The possibilities for substantial risk reduction are plentiful, extending to every room in the home and including your own health and balance. The following is just an overview of the many useful tips available. Ready yourself. Regular physical activity and exercise strengthen your muscles and improve flexibility and stability. Have your hearing and vision checked, as changes in either can cause a fall. Be mindful when drinking alcohol, and be sure you are getting enough sleep. Additionally, some medications (or combinations of medications) can cause side effects that might impair your sense of balance; ask your doctor if you have questions. Steady yourself. Rise slowly upon standing, to keep your blood pressure stable and avoid feeling woozy. Rather than moving around the house while wearing socks or smooth slippers, choose stable, low-heeled footwear with non-skid soles. If you use a walker or cane, ensure that your pathways are sufficiently wide and free of clutter, so that you can bring your walking aid with you everywhere. Improve your surroundings. Inspect your home to make sure that all pathways are completely free of clutter, cords, and other tripping hazards — including unsecured floor mats or rugs. Add easily accessible lamps, light fixtures, and/or night lights to provide adequate light and safe passage at all hours. In case of icy winter weather, have salt or sand on hand to spread on outdoor walking surfaces. As with any emergency, it’s better to prepare for something that never happens than to be unprepared in the moment. Moreover, because the fear of falling actually increases the risk of falling, any step that an individual can take to lessen such fears also provides confidence that can alleviate the risk. This is why preparing for a possible fall is a crucial step in fall prevention. Learn to safely get up and recover after a fall. Getting up too quickly or in the wrong way could cause or worsen an injury, so research and learn the details of each phase of getting up (in short: rest, assess for damage, roll onto your side, rise to hands and knees, crawl to a sturdy chair or step, use this for support while rising to a crouch, and slowly turn and sit for a few minutes at least). With each stage, take time to get your bearings, and use caution and deliberation — most importantly, if you are hurt, stay put. Have an alert system at hand. As a supplement to the above measures and preparations, a mobile personal emergency response system (PERS) offers the greatest security with respect to a possible fall. Such devices, worn around your neck or clipped to your clothing, can connect you with emergency personnel from anywhere in your home or coverage area, in case you’re unable to get up or get help. Some systems (including the Residential Nurse Alert mobile system, exclusive to Residential Home Health) can provide the added assurance of automated fall detection, which can trigger an alarm even if the wearer is unable or unconscious. Falling in the home can be a frightening prospect. But rather than ignore the potential risk until something goes wrong, try treating fall prevention like fire safety: take all necessary precautions, prepare yourself fully, and then hope nothing ever comes of it. By adding preparatory steps to your arsenal, as well as preventive measures, you’ll have done all you can to proactively make yourself safer at home. For Residential Home Health patients, Residential Nurse Alert provides Anytime-Anywhere-Anything access to their care team. Non-patients can also use the service to connect with Residential’s clinical team. In 2014, more than 300 probable hospital admissions were avoided with this system.